The Paul & Joe Holiday 2014 Collection features some seriously pretty things that actually say “spring” to me more than holiday, but you know what? I don’t care because pretty is pretty, no matter what time of year. I have just a couple things from the limited edition collection which includes in its entirety: Two Makeup Collections which each include an Eye Color and a Lip & Cheek Color (in Sugar & Spice and Gingerbread), two Hand Creams, a Pressed Powder and a Body Fragrance Collection. 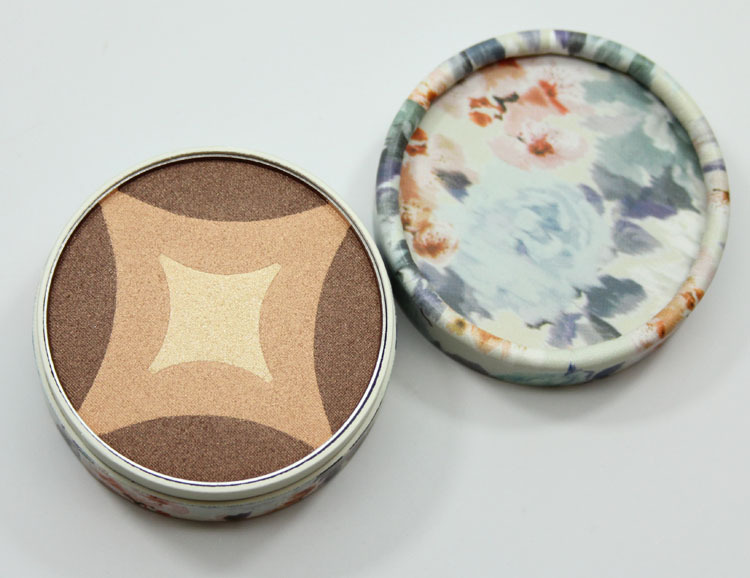 The Twinkle Twinkle Little Star Pressed Powder comes in a really cute compact that has a silver outside with a flowery pattern. 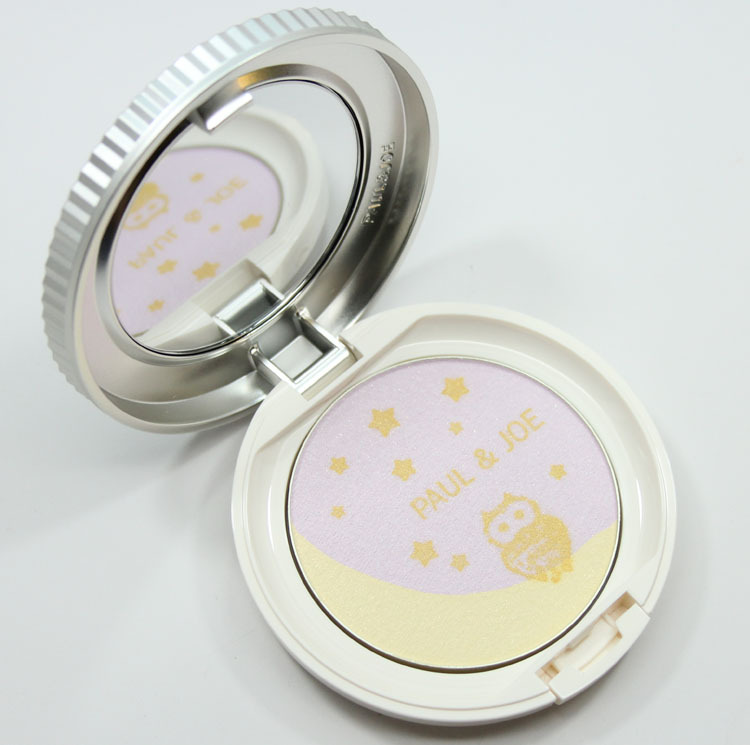 It opens up and you see a powder puff, mirror and the cutest powder pattern EVER. It’s a little golden owl sitting on a crescent moon surrounded by gold stars. The lavender shade is supposed to give your skin clarity while the yellow shade gives it brightness. The gold adds just a very subtle hint of shimmer. The Gingerbread Makeup Collection comes inside a super cute flowered bag. 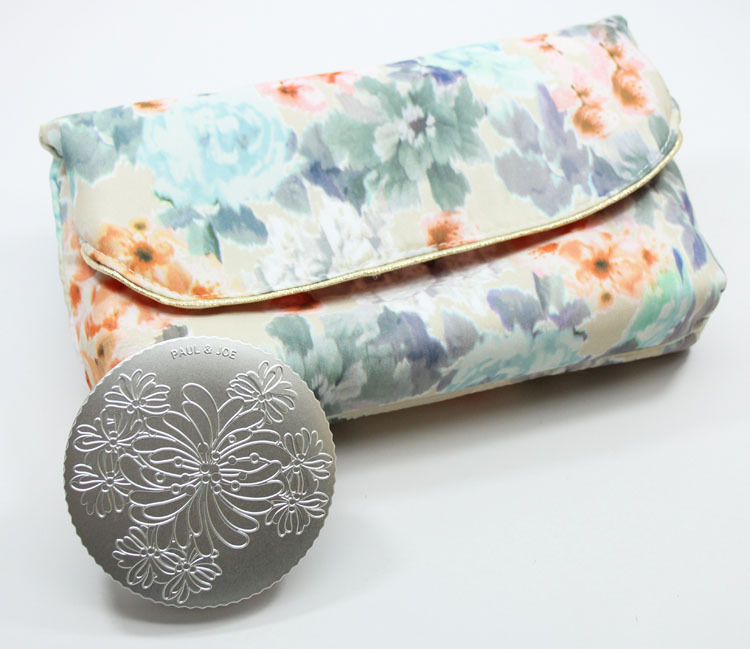 Inside you will find the Eye Color, which is the same print as the bag and a Lip & Cheek Color. The Eye Color features three shades including a warm deep brown on outside, a peachy/gold in the middle and a gold shimmer on the inside. They are separate eye shadow shades, but since the pattern is pretty small, it’s not exactly easy to use them separately. 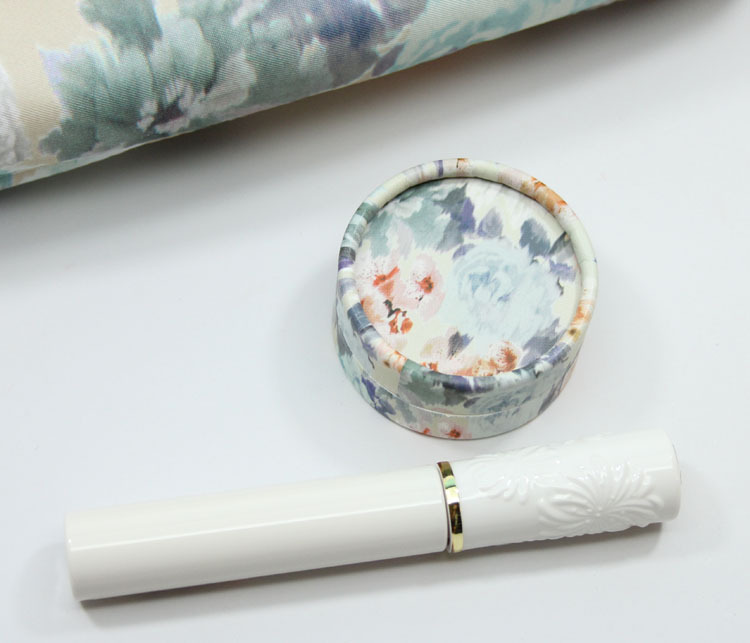 The Lip & Cheek Color comes in a white tube with a pretty flowery pattern on the cap. It has a soft doe-foot applicator. 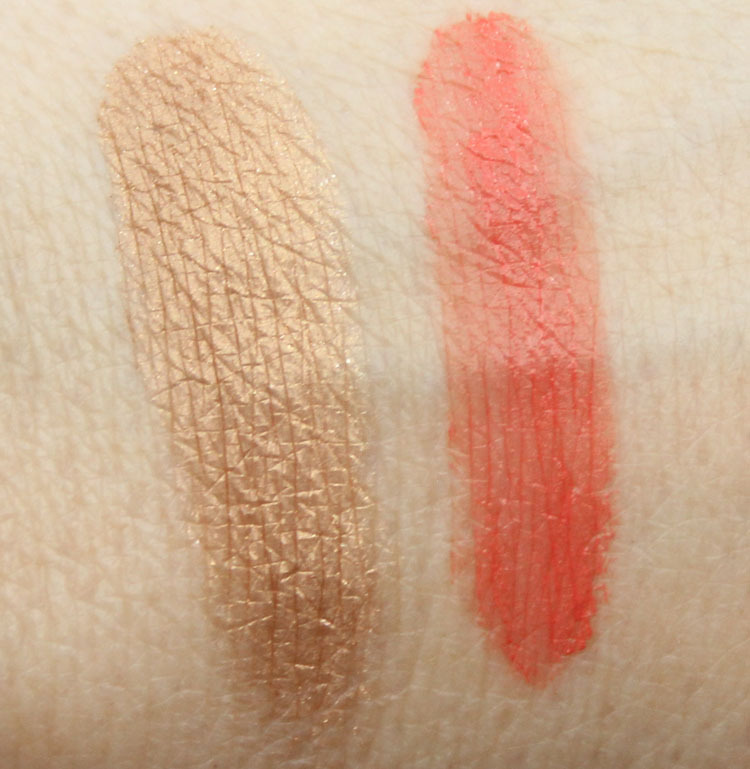 I swirled together all three of the Eye Color shades and combined they make a pretty medium shimmery golden brown. 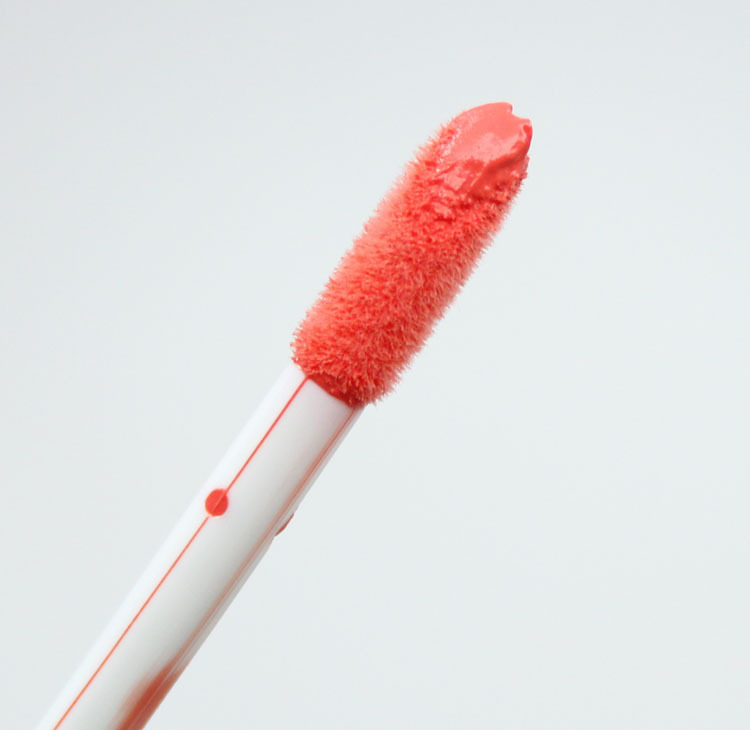 The Lip & Cheek Color is a bright coral. I feel like this makes a much better cheek color for me than lip color because it’s fairly drying and matte. You can find these items at Beauty.com and b-Glowing.com. Have you tried anything from Paul & Joe yet?